Arturia has borrowed some Mutable Instruments algorithms and given birth to a wonderful hybrid synthesizer they are calling the MicroFreak (adorable). 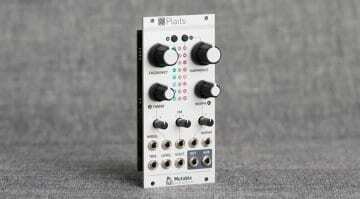 Take a Mutable Instrument Plaits Eurorack module and stuff the oscillator algorithms into some Arturia hardware. 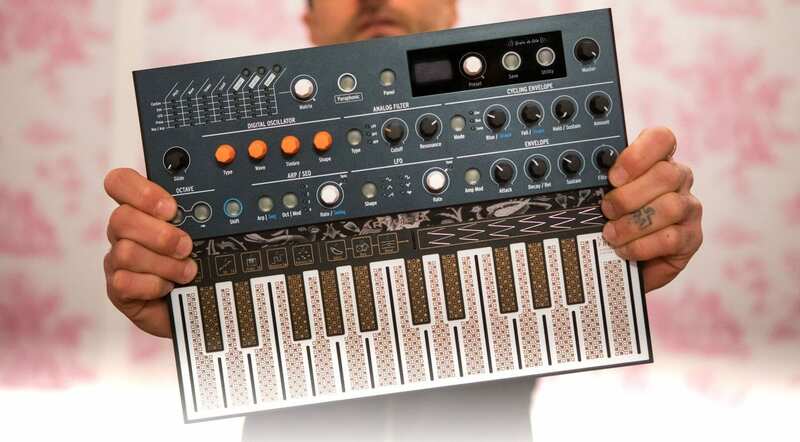 Add a SEM style filter, a weird PCB keyboard and a whole bunch of character and you end up with something so fun and fruity that it’ll make us forget all about that Behringer synth we were going to pull the trigger on. 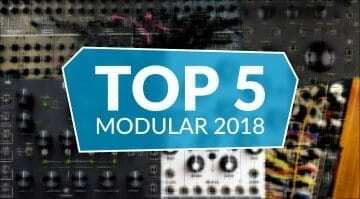 The modes from the Plaits include Superwave, Harmonic Oscillator, Karplus-Strong, Wavetable, Virtual Analog, Waveshaper, FM, Grain, Chords, Speech, and Modal. 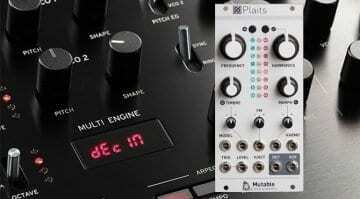 There are another 5 synth engines from Arturia making a total of 13 (although it also says 11 in other parts of the website). 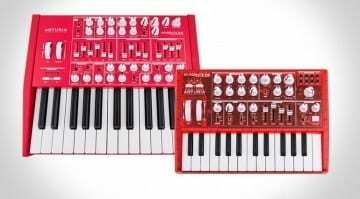 Other features include a modulation matrix, cycling envelopes and a sequencer with controlled randomisation. It’s 4 note paraphonic and that PCB keyboard can handle pressure as polyphonic aftertouch. There are 128 factory presets and room for plenty of your own. What a wonderful thing! Should be available in the Spring and at €299 what are you going to spend your money on this year? 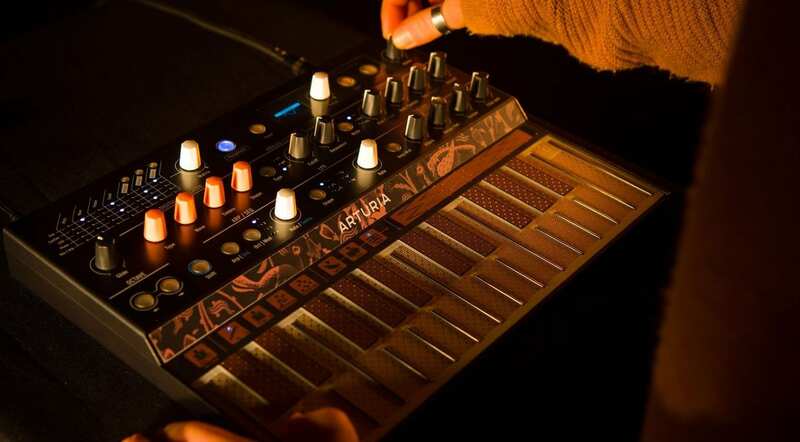 The talk of a proper “collaboration” or “partnering up” with Mutable Instruments turns out to be overstated and Arturia has calmed down a bit and acknowledged that really they just used the Plaits algorithms – Emilie from Mutable had no other input into the synthesizer.